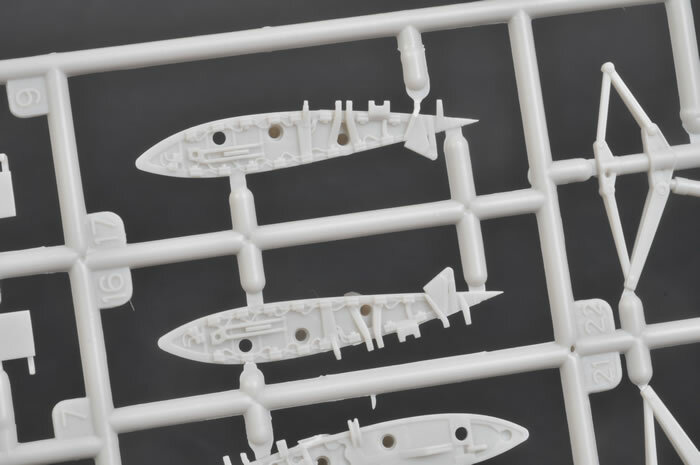 Contents and Media: 173 parts in grey plastic and eight parts in clear; markings for one aircraft. 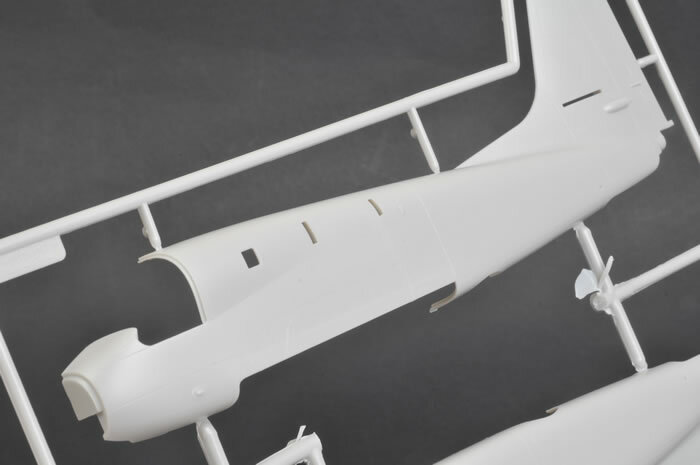 Advantages: High quality moulding; finely recessed panel lines; optional position wings (extended or folded) with no cutting required; entry door and bomb bay doors may be posed open; clear parts moulded to accurately depict canopy bulges; straightforward parts breakdown; improved packaging (sprues in multiple plastic bags); high quality decals produced by Fightertown Decals. Disadvantages: Simplified interior; lack of detail on searchlight; missing landing light. 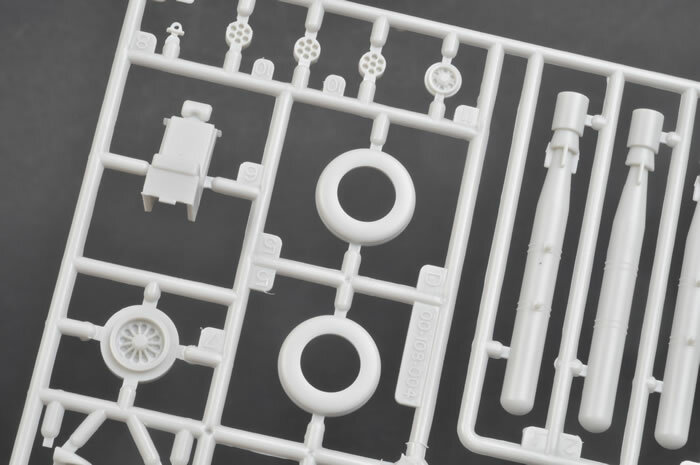 Kinetic's brand new 1/48 scale Grumman S-2E/G Tracker is an impressive model of an interesting but previously neglected subject. Construction looks to be very straightforward. 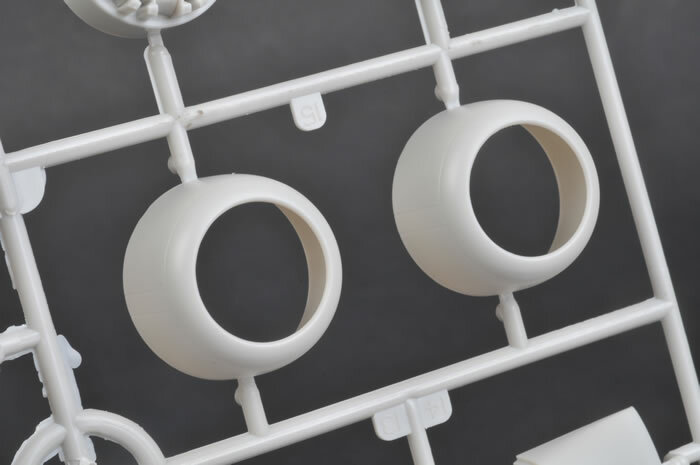 Surface detail is getting finer with each Kinetic release too. A very nice package. 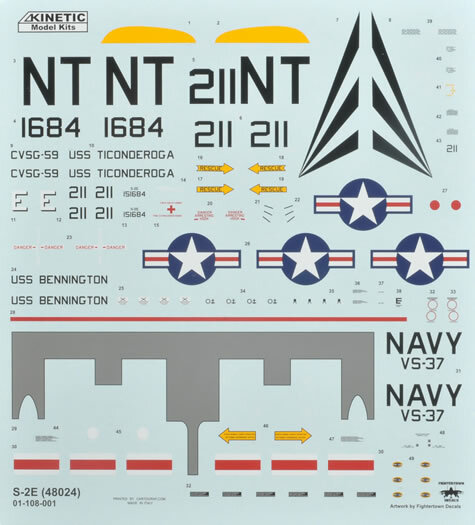 In not much more than a year, Kinetic now released three important US Navy aircraft in 1/48 scale. 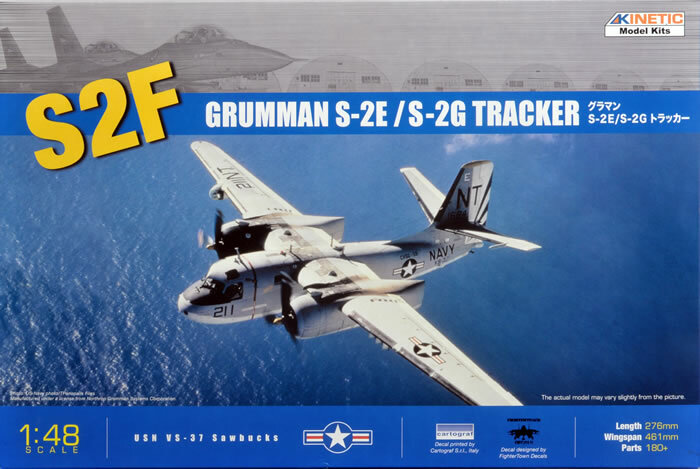 Their third addition to the range is a 1/48 scale Grumman S-2E / S-2C Tracker. The Grumman Tracker, originally designated S2F (hence its nickname, "Stoof"), and later renumbered as the S-2, was the first purpose-designed Anti-Submarine Warfare aircraft to enter service with the US Navy. The Tracker commenced operations in 1954, and was retired by the US Navy in 1976, although other countries continued to use the S-2 in front line service for decades. 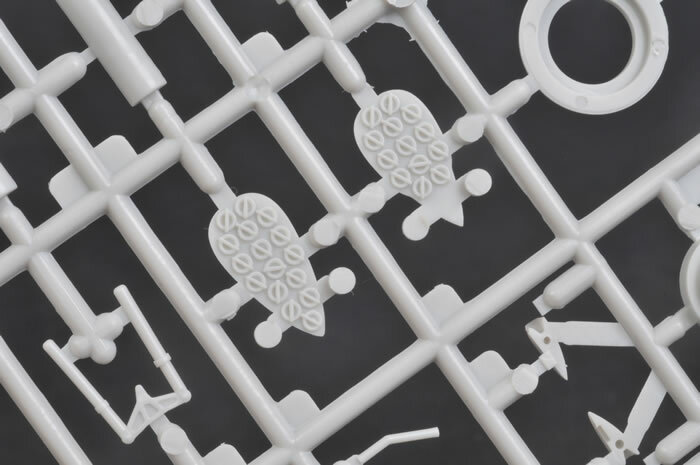 This is the first time that a Tracker has been available as an injection moulded plastic kit. 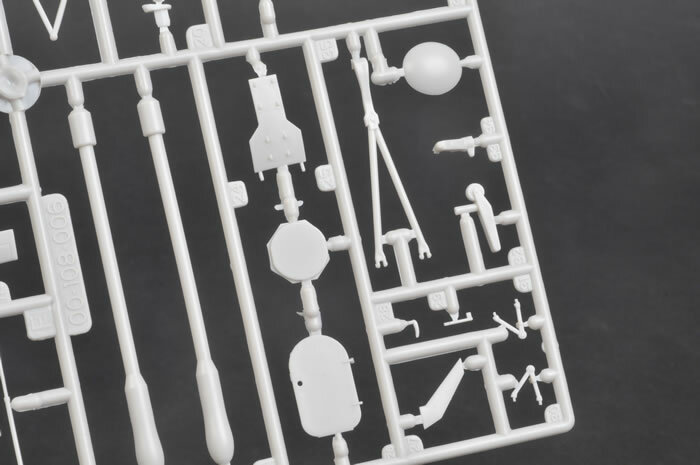 Until now, the only option has been the expensive Collect-Aire resin kit. 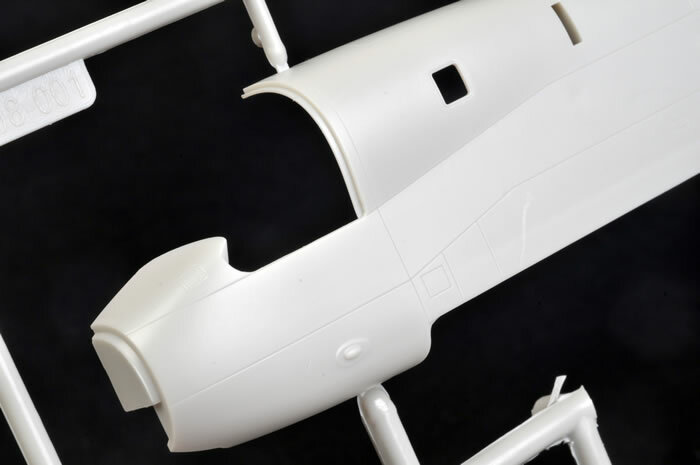 Kinetic's new 1/48 scale Tracker represents the later stretched fuselage version, which saw widespread service with the US Navy as well as Australia, Brazil, Peru, Turkey, Uruguay and Argentina. Canada operated 99 locally built Trackers built to the earlier S-2A specifications.. 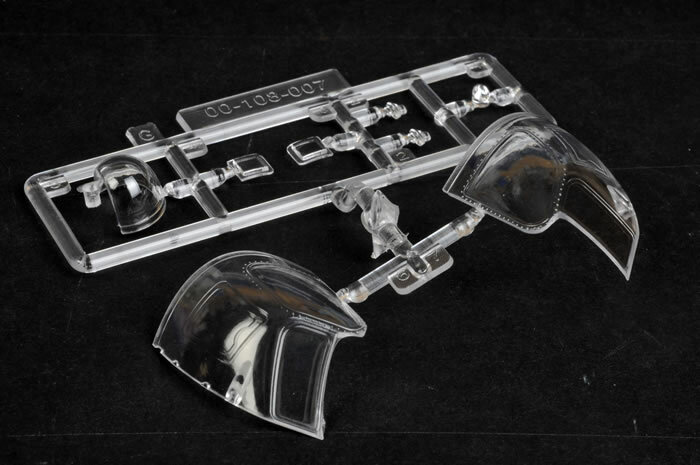 The kit comprises 173 parts in pale grey-green plastic plus eight parts in clear. Markings for a single Tracker are included. 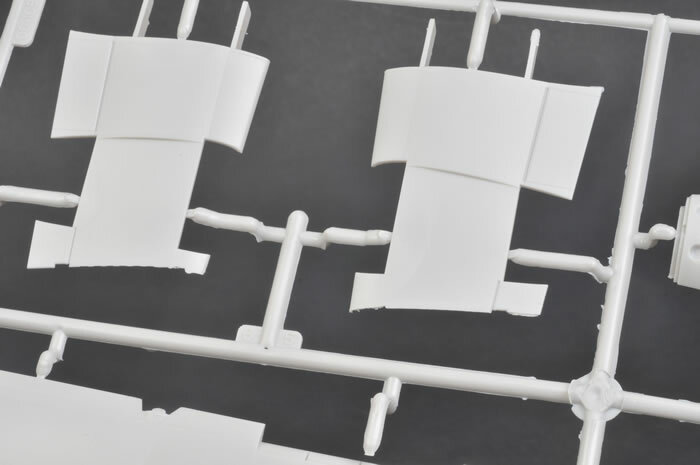 It is nice to see for the first time that the plastic parts are packed into three separate plastic bags, instead of squeezed into a single bag per previous releases. Surface texture continues to improve when compared to earlier Kinetic releases. 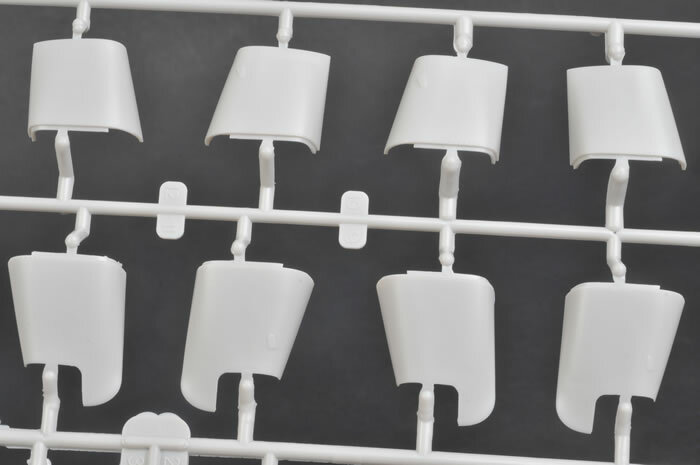 Panel lines are noticeably finer and crisper, and selected recessed rivets are subty done. Very nice indeed. 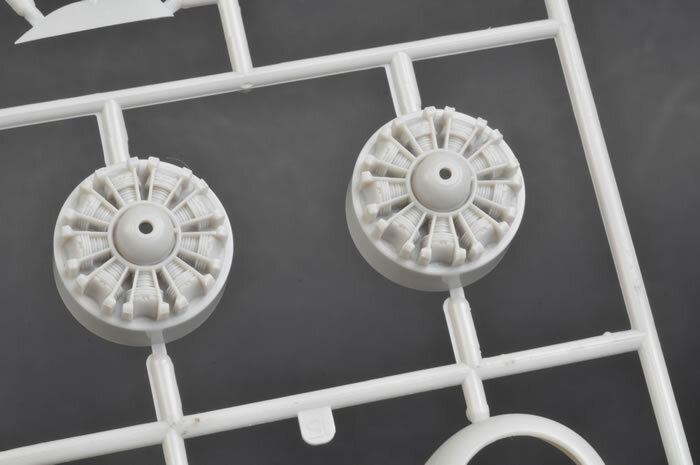 The wings are mounded as inner and outer sections, with top and bottom parts for each of the four sections. 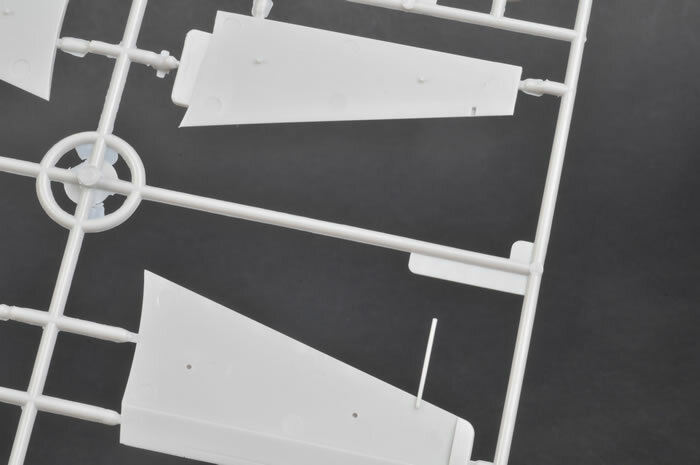 The inboard wing sections should mate securely to the fuselage thanks to two large wing spars. The wings may be posed either folded or extended. 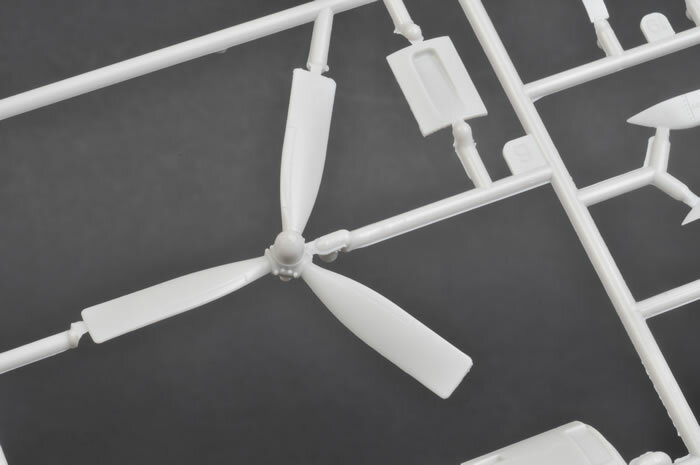 Different parts are required at the wing fold depending on which option you choose, so pay careful attention to the instructions. The join for the folded wing option looks robust and positive. 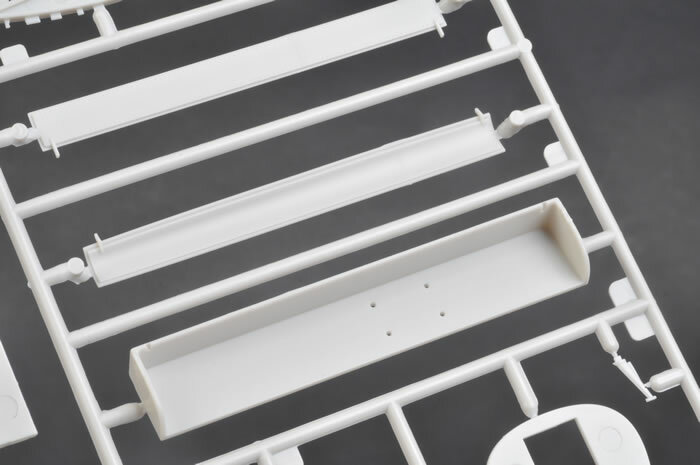 The fixed leading edge slats are separate parts. 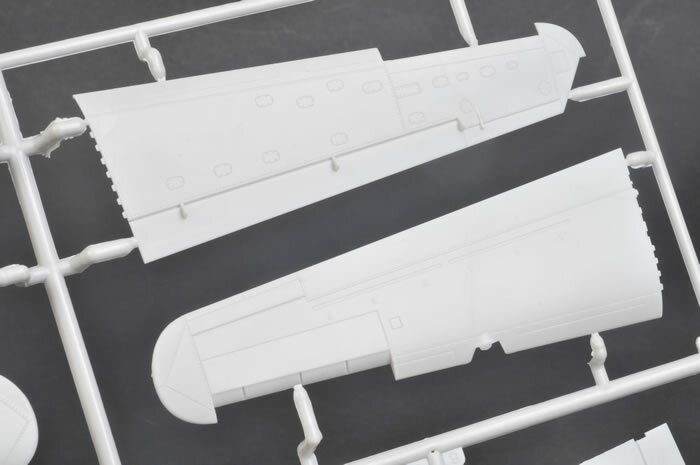 All other control surfaces and flaps are all moulded closed or in in neutral positions as appropriate. I would not be surprised to see Wolfpack Designs and others address these areas for modellers who like to see their aircraft with everything hanging out. 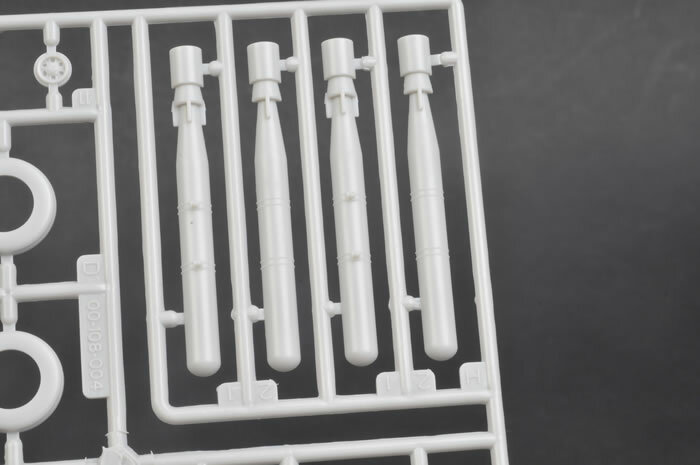 The horizontal stabs can pivot on their locating pin, so these may be posed according to the modeller's taste. 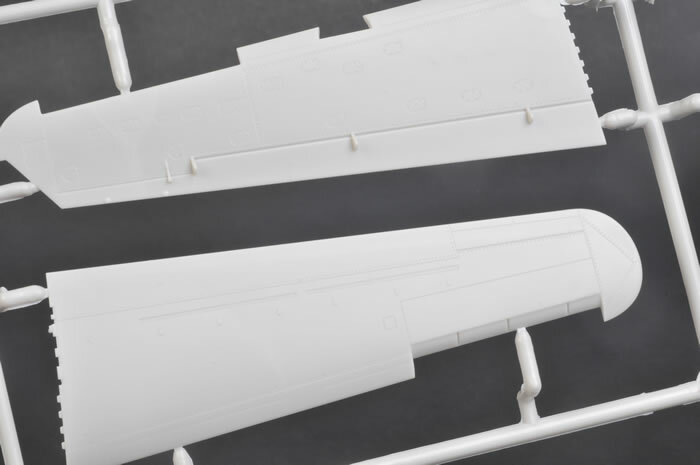 Three wing pylons and rocket pods are supplied for each wing. 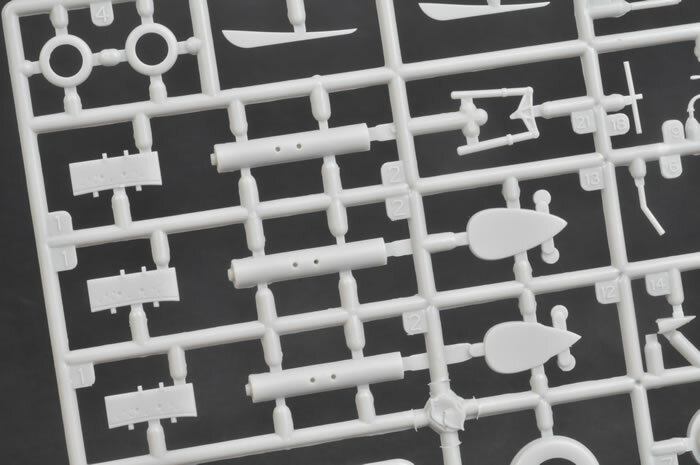 The weapons bay may be posed open and two torpedos are included. The bay is otherwise completely bare. Undercarriage parts are broken down simply. The wheels feature separate tyre halves sandwiching the wheel hubs. This should make painting easier. 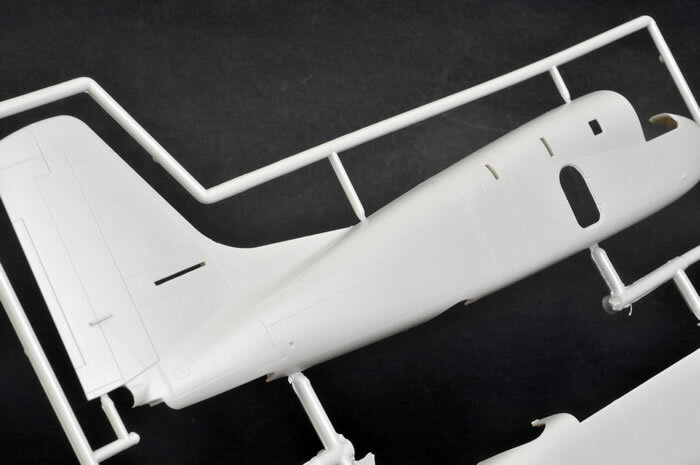 The front landing light is supplied as a separate clear part for the front landing gear door. A number of separate small antennae are provided for the fuselage. The cockpit is pretty basic. I was a bit worried about the simple seats until I saw some reference photos that confirmed that they are little more than empty metal buckets. 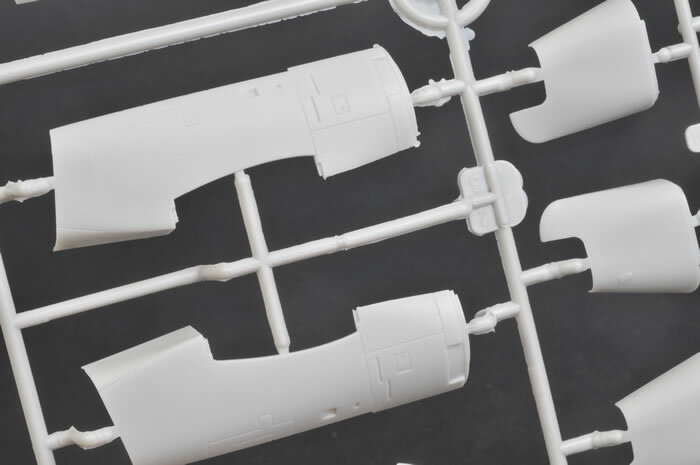 Harness straps are not depicted, However, as they have already done for their F-16, E-2 and E-6B families, Kinetic will undoubtedly release a colour photo-etch upgrade for the front office before too long. 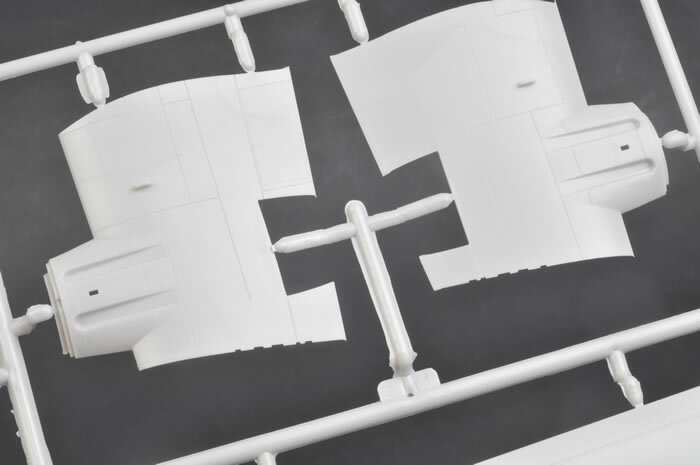 Kinetic has moulded the canopy in two halves split down the centreline. This permits the two parts to feature their characteristic large side bulges. You'll just need to take care when gluing the canopy halves together (although the saving grace is that there is a centreline frame along the line of the join). The top cockpit console will help secure the join between the canopy halves too. The prominent searchlight on the starboard wing incudes a clear cover, but there is no detail behind it. It will be worth spending a little time adding representation of the curved lens and the filament. The landing light on the port wing is not depicted. Markings are supplied for a single Tracker in service with the US Navy's VS-37 on USS Ticonderoga. The wing tip markings are supplied as decals, as is the prominent walkways on the upper wing. 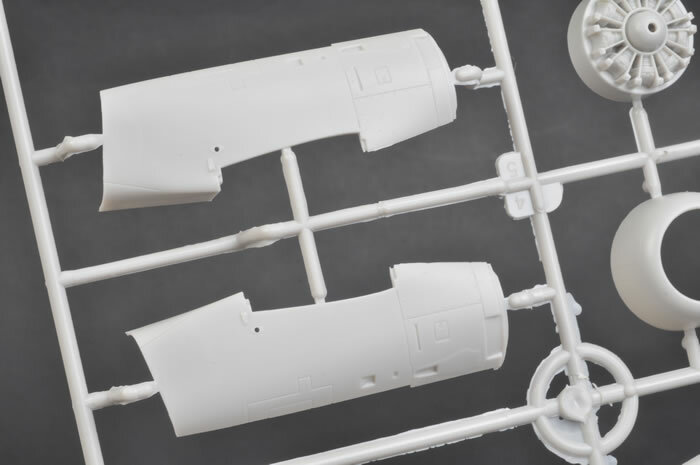 Kinetic's brand new 1/48 scale Grumman S-2E/G Tracker is an impressive model of an interesting but previously neglected subject. 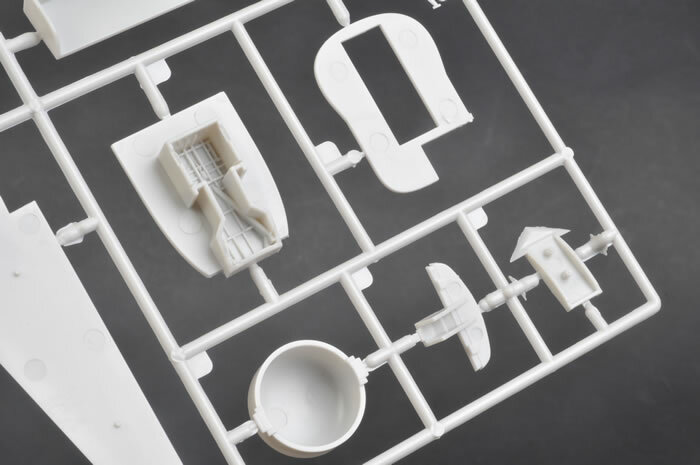 With its relatively modest parts count, construction should be very straightforward. 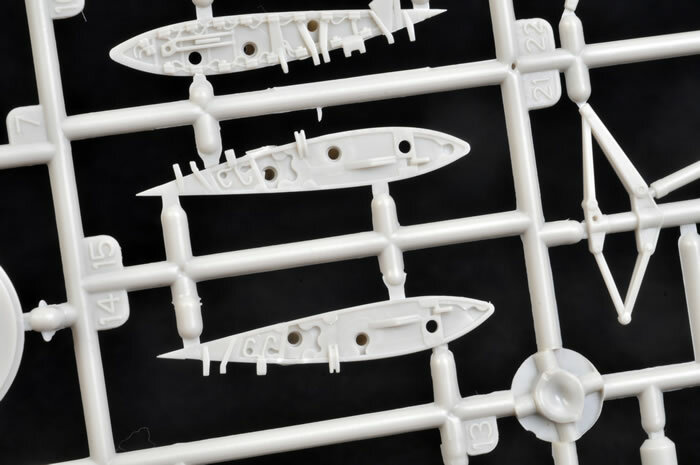 Surface detail is noticeably improved compared to the Hawkeye and Prowler as well. 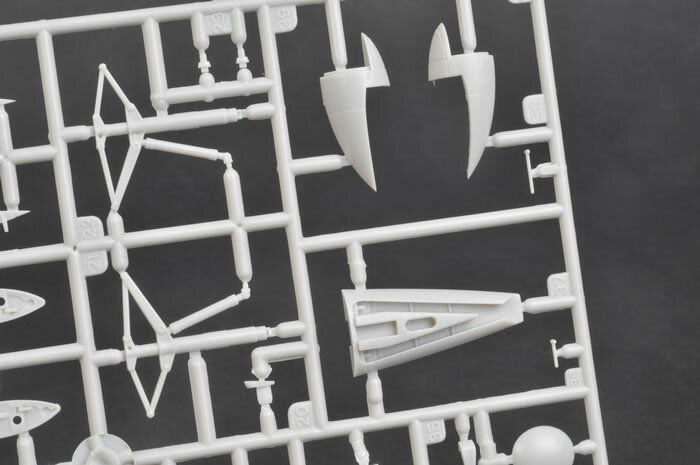 The cockpit and weapons bay are pretty basic, but this opens the door for Aires and other aftermarket companies to wave their magic resin wand in these areas. For those who are not super-detailers, the simple parts breakdown will be appreciated. I have sent the last half-dozen Kinetic and Skunkmodels kits to Mick Evans to build, but I will be doing this one myself! 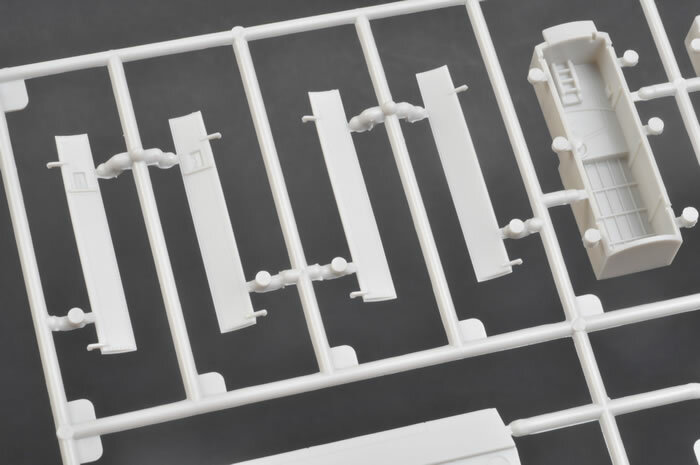 This is another very nice package from Kinetic that will be well within the capabilities of the average modeller.